Both state and federal partners share a desire to conserve gopher tortoise populations and habitat in order to prevent regulatory constraints and carry out their missions to the best of their ability, be it training missions on military installations or forest management on U.S. Forest Service lands. The gopher tortoise is listed as threatened in the western portion of its range, while it’s a candidate species for possible federal listing in the eastern portion of the range. In partnership with MCAS Beaufort and the state of South Carolina, Marines volunteered to assist installation staff construct a living shoreline with oyster shell and bamboo stakes donated by the state government at the station’s Laurel Bay Boat Ramp. The Southeast Regional Partnership for Planning and Sustainability (SERPPAS) is a unique six-state partnership comprised of state and federal agencies that promotes collaboration in making resource-use decisions supporting conservation of natural resources, working lands, and national defense. 2018 - 2020 SERPPAS Strategic Plan Released! 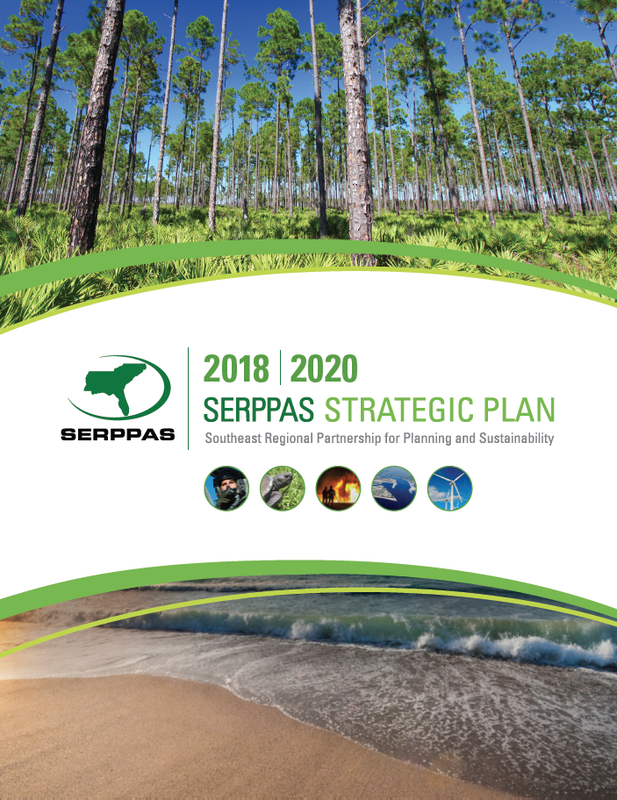 This Strategic Plan for the Southeast Regional Partnership for Planning and Sustainability (SERPPAS) for 2018-2020 describes a set of objectives that will help the partnership advance its mission across the region. The plan will serve as a framework for identifying and implementing collaborative and cooperative solutions to challenges affecting national defense, natural resources and economic sustainability, and the quality of life in the Southeast region. It is organized by focus areas that have established work groups collaborating together on priority actions to accomplish these objectives.